WhatsApp for Android gives users and an ad-free experience. This app is incredibly easy to setup and use and syncs automatically with your phone’s contacts. Users have the ability to send text, photos, video and voice messages to other WhatsApp users, and group chat. You can enjoy in sending fully encrypted messages that WhatsApp to other users of this app. Developers are continuously adding popular new features to this app, helping it grow in its momentum. Many people who use Google+ and/or Gmail, as well as an Android, have Google Hangout already. This free service allows users to text, video and voice call, send photos, animated gifs, and emoji, and also use as an SMS for now. Facebook Messenger is still quite popular even with its few flaws. By building off from the already existing Facebook chat network, users are able to send text messages, and voice and video chat with other Facebook Messenger users. This messaging app features chat heads that pop up on Android devices which allow for use even while other apps are in use and on-screen. Viber for Android is easy to set up the app with numerous options available to its users. Your phone number is used for your Viber login and this app automatically syncs with your phone allowing you to easily find your contacts that use Viber. Users are able to send text, voice and video messages, photos, emoticons, and stickers. For a fee, users can call landline phones as well as non-Viber numbers with the Viber Out feature. Also, you will know that your messages are secure by the newly introduce color-coded icon that indicates encryption and security of chat. There are games, cross-platform support, Android Wear, and the ability to delete your messages one they have been sent. Line is easy to setup and popular worldwide. Users are able to send text, photos, voice and video chat, emoji and stickers, and location sharing. Another feature popular among Line users is the social network aspect-like Timeline. Line for Android allows for extremely large group chats and call for up to 200 people. With the Keep feature, you are able to store videos, images, and messages to share later. 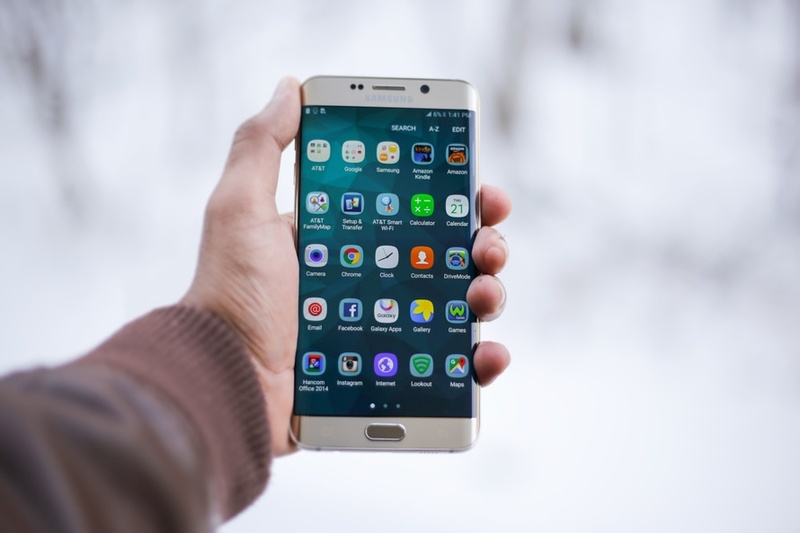 Check out some of these other useful apps that can help you stay in touch on your Android. SMS has been the way to go for text messaging for a very long time now. These are extremely easy to use, and the majority of cell phone plans offer their customers an unlimited number. Lucky for you, there are a plethora of apps compatible with Android that is able to send and receive SMS messages. Some offer tons of features while others provide only the needed basics. Google Messenger SMS app is great for people looking for something simple without too many extra features. It is pleasant to look at with Material Design, and some features included are SMS blocking, text search, audio messages, and location sharing. Google Messenger app is totally free and meets the majority of user’s needs. Chomp SMS is known as an excellent app for Android and has been around since FroYo and Éclair. Time has not taken away any popularity of Chomp SMS and it still grows today. Make text messages look how you want by using their theme support. This app also includes widgets, more than 800 emoticons, fast pop up replies, and SMS blocking. This SMS app for Android is one for people who like a lot of options with their themes. Users love also love that this app is free. An Android app that has great popularity is EvolveSMS. This app provides users with several incredible features. One of their features allows users the ability of easier messaging by swiping between conversations rather than hitting back buttons and another button for the other conversation and so forth. Some other amazing features EvolveSMS offers include password support, Android Wear support, and notifications which are customizable. Free to download and use with in-app purchases available. If you are familiar with Facebook Messenger, WhatsApp, or Google Hangouts, you’d probably feel right at home when looking at Signal Private Messenger. This Android SMS app is very similar to them. However, this app uses a system with phone numbers to search for people and if they do not have Signal Private Messenger, a regular SMS is sent out instead. For users that want an app that focuses on security, this is perfect for you. There is end-to-end encryption for the prevention of prying eyes from the powers that be. To receive full security, both users must be using Signal Private Messenger. However, even as a standalone app, this works exceedingly well. You would be happy to know this app supports phone calls, is open source, and best of all- Free!!! Keep in touch by using one the great SMS Apps available for your Android device! Make sure to check out these Android apps you can use while offline, too! Google Now has had some extraordinary advancements over the last two years, making it packed with features to make life much simpler. And when you combine “OK Google”, where users can interact with Google Now by using simple voice commands, you get much more. What Is OK Google Capable of Doing? Searches the internet and answers your questions. Post updates on social media. Provides you with maps and routing while driving. Using OK Google to find your next turn, gas stations, exits, or change your destination is more convenient than paper maps. Rather than using your hands while driving, this allows many aspects to be accomplished by voice commands making it much safer. OK Google is able to integrate with many of your third-party apps, such as Pandora, WhatsApp, Trello, etc. Think of the simplicity of using only your voice to “Play Drake on Pandora”. The majority of Android phones now come equipped with OK Google. However, you will need to manually turn it on for phones where it is not enabled. The only thing you need other than your Android phone is the Google app. There are more features with this app than with only OK Google. For example, having the ability to search the internet even when busy doing something else on your phone. To set up OK Google, start up the app. Go to the top left and open the menu. Hit Settings > Voice > “OK Google” detection. Look down and find From the Google app. If not already enabled, do it now. It is recommended to also enable From any screen as well, to take full advantage of this app. When enabling this option, you must repeat the phrase “OK Google” 3 times. This way, your voice will be recognized by the app. It’s that simple. That is all that needs to be done. There are a few setting you can adjust to make OK Google more to your liking. To activate OK Google when your screen is locked, you want to adjust Trusted Voice. This works with only your voice. When your screen is off and you want to activate OK Google, adjust Always On. However, this does not work with all models. To have personal results returned with your searches, you want to adjust Personal Results. This works no matter if your phone is locked or not. There is an endless list of commands that you can use, just simply say “OK Google” and the command. Your life will be easily navigated by having OK Google by your side. There is no need keeping those awesome photos on your Android tablet or phone digital. Print them simple and fast by using your own printer at home, at a store locally, or sent quickly to you through the mail. There is no expensive hardware to buy, use your own photo printer or pay-per-print for a higher-quality solution. 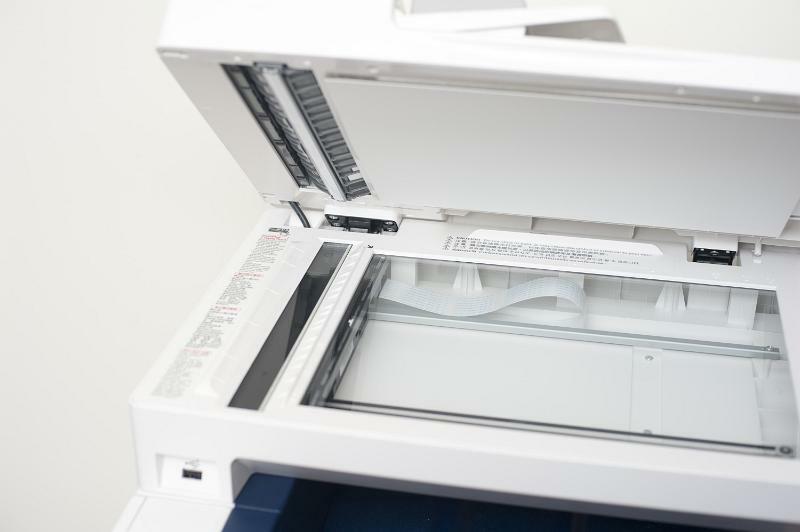 When printing photos regularly, using a photo printer at home can be an ideal solution. You want to use high-quality photo paper with a dedicated photo printer. Using an old printer with traditional printer paper is not advisable for photos. Next, your Android tablet or phone needs to communicate with the printer. Most printers have a dedicated app available through the Play Store which installs all necessary drivers allowing you to print directly to the wireless printer. Find the app by either searching the Play Store or go to Settings > Printing and press Add Service. You now will see printing apps available that match your printer make. Be sure to follow on-screen instructions as each app works differently. Google Cloud Print is another way of printing from your Android tablet or phone. The amount of Cloud Ready printers is increasing every day, but non-compatible and older printers can use it as well. A printer is connected to your Google account for Google Cloud Print to work. Rather than using your own photo printer at home, if you’re only printing a couple of photos on occasion, pay-per-print at your local store. There is no need to spend or maintain a photo printer or high-quality photo paper. This way is less costly if only using for occasional photos. There are many local businesses that print photos and have them ready for pick up the same day near you such as Walmart, CVS, Target, and Walgreens. With the use of apps, you can easily find local stores and send photos that you want printed and go pick them up when ready. This store also has ways to send and order your photos by visiting their web page directly. These photos are printed at high-quality with no worry about printer maintenance. If you do not want to leave your house to have photos printed there is no need to. High-quality photos can be delivered to your door within a few days of order. With apps such as FreePrints, SnapFish, and Shutterfly you can easily have some or all of your photos printed and sent right to your door. If you want, have them send these photos directly to a family or friend for you. If none of these options are appealing, you can transfer them by USB cable or store them with services such as Dropbox, OneDrive, or Google Photos and print them from there. However, they look much better straight from your Android phone. Check out some of the other cool apps that come with your Android phone. Google calendar is there for scheduling and your to-do list app is there to mark down tasks. With the introduction of Reminders by Google, you now will have a to-do list integrated with Google Calendar. Reminders for Google Calendar is a great feature available on your mobile app and the web. Reminders work by pressing the plus icon when you want to create a new event on the calendar for the mobile app, you will now be presented with another option for “Reminder”. Press that when you are ready to create a new reminder. Reminders assist you with creating better tasks by using what Google knows about you. Reminders remain on your calendar until they are marked as done. There are preset templates for text, email, call, read, meet, make reservations, cancel reservations, watch, return, and check in. Each template is designed to find information on Google helping to provide your tasks with more context. You have the ability to create new reminders by using non-Calendar Google apps. Use Google Keep, Google Inbox, or try voice commands with OK Google. Add your tasks to Google calendar so they are scheduled rather than placed on a seemingly endless list where they are less likely to get finished. Increase the chances of following through on your tasks by scheduling them. Google Calendar prompts you for a date and time when adding your new task, so it will alert you. You are more likely to complete small tasks is larger due to the ability to review our tasks. It is easier because your calendar and to-do list are kept visual and in the same space. Why Use Google Calendar for Your To-Do List? Even with Google Keep handling task, Calendar is the better option for several reasons. One of these reasons is being able to add from anywhere. When having to take several steps to add tasks, many of never bother. With most Google apps allowing us to add Reminders, we are able to reduce how many steps we need to take. Another great reason to use Calendar is ability to review our tasks. To better our list of task, we must review and re-prioritize them. While having both our unscheduled tasks and scheduled tasks put in one place, you have an easier time reviewing and considering what should be done next. The calendar can work in a similar way as Trello when accomplishing tasks, by allowing you a visual glance of everything that needs to be accomplished today. This also lets you view unscheduled tasks, letting you have an overview of your entire day. Reminders with Google Calendar is synced across every platform, helping you be more productive every day! There is convenience with a USB connections, but they are not usable with phones. That is of course unless you are an Android owner and a user of USB OTG. USB OTG (On-The-Go) allows data to be read from a device without the need of a PC by using a USB connection. This device becomes a USB Host, and every device is capable of doing this. Android is the popular place where USB OTG is used, but not the only place. Some printers are already supporting it, Windows Phone 10 is likely to have USB OTG from Microsoft, but Apple has yet to show any signs of allowing this. Another reason why you should choose an Android over an iPhone! The most trustworthy way of checking if your Android supports USB OTG is by checking either the manufacturer’s website or the box you bought it in. If you are unable to find it, check on the site, GSMArena.com. Scroll where is says USB in the specification list, now checks for USB Host. They are the words you want to find. Another way of checking is by downloading from the Google Play Store the free app, USB OTB Checker. Not all Android devices support the USB OTG, the manufacturer needs to have it enabled. Android devices have standard size micro-USB ports, but the majority of USB devices need a USB port which is full-size. You solve this issue, you will need a micro-sized USB Male to full-sized USB Female adapter. After you have your USB OTG ready for use with your Android, there are many opportunities newly opened up to you. Use of external storage is extremely popular, and you are able to just plug your USB in and go. The connection is easy with USB drives while an external hard drive might or might not work. External hard drives which have their own power source have no issues with working, but portable hard drives which take power from the Android device might not work. Having a keyboard and mouse is an important part if you want to use your tablet as a laptop. Standard plug-and-play wireless keyboard and mouse sets which are compatible with all platforms work awesome. When buying hardware, be sure it does not require any software to be installed. If your phone has a USB OTG you are capable of using your phone for many other excellent things as well. Such as controlling your DSLR camera, print directly from a printer plays games using video game controllers, among many other things. Android helps to open up a whole new world to their users. You might feel like your android apps are useless without an internet connection. It seems as if every app you know requires internet access. However, when unable to access mobile data or WiFi, there are some that still work well as offline android apps. With Spotify, you have access to millions of tracks. You are able to sync playlists in the background, having it available anytime you are offline. Easy to use, with a premium subscription costing you only $9.99 per month. Simply save some of your favorite music and listen to it whenever you like. FeedMe is a streamlined version of Feedly, with a full offline syncing. With this set to sync, all images and text are synced with your phone, waiting for you to go through your feeds when there is no internet access. This app syncs with Feedly, Bazquz, The Old Reader, and InoReader. Pocket begins our list of offline android apps. Its one of the most popular apps available for reading. Download videos, articles, blogs, or other content you find online, and later read it when not connected to the internet. Simple to use, with just one-click on the share button and Pocket saves it for later. Make sure you never miss out on any content when using Pocket for free. Download full city maps, directions support, available in the Offline Areas tab. This app will help you get to where you’re going, without having to worry about not being able to have supported maps for the area when you’re offline. With the use of an app that allows you to download all of their maps, the world is your limit while on the go. You may think of podcasts as online streaming, but with Pocket Casts, all your favorite podcasts can be downloaded. Give yourself endless hours of listening enjoyment. This app allows users to search for hundreds of thousands of podcasts and then download them to your device for later use. With Pocket Casts, you are able to automate downloads in the background of your subscriptions when you have access to WiFi, and listen to them later. With Google Drive, you are able to download documents and files to your device. These files are then able to be worked on later when offline, and when you have the internet again, they sync back to the cloud. Select Options icon from a file in Google Drive, then select Keep on Device. Do this to all the files you want, and work on them when away from WiFi. This app is perfect for people with plans of unlimited text messaging but no data. Users are able to read current headlines or view recent tweets all by requesting and receiving data by text messaging. You can grab quick access to Yelp, Wikipedia, Twitter, or directions all from just a text message. Depend on these great offline android apps to find and use helpful information, get some work done, or just relax while reading or listening music. Nathan knew exactly how to fix my broken HTC One! Even better, he upgraded it and its WAY FASTER! !